Cheyenne’s local, family-owned gun store! 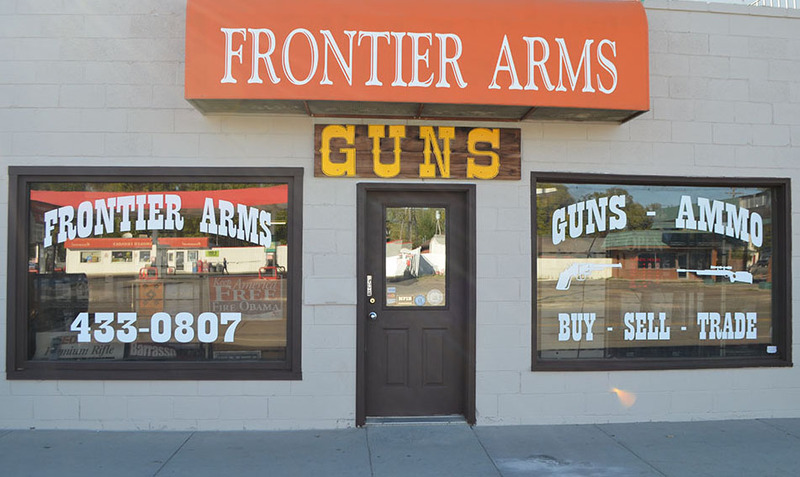 Frontier Arms is Cheyenne’s premier firearms dealer. We carry a wide range of new and used products to meet all of your firearms needs. Whether you’re a hunter, shooting enthusiast, or collector, we have what you need. Stop by our gun store today and let us assist you with your individual needs. With year’s of experience, you can be sure our knowledgeable staff will help you make the right purchase. Come on in and buy, sell, and trade guns, ammunition, and accessories at our local, family-owned gun store! We are a licensed firearms dealer and gunsmith. Our gun store has a large inventory and sells all major gun brands such as Remington, Glock, Marlin, Springfield Arms, Ruger, Henry, Winchester, and many more. If you can’t find what you’re looking for, we can order it.